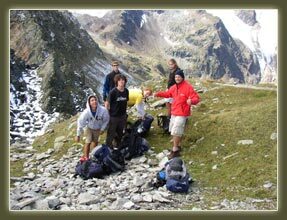 Wild Vistas Trekking is pleased to once again offer hiking adventures in the European Alps. This year we will be offering two trips, one to the Stubai region of the alps and the second in the Dolomite region at the eastern edge of the alps based out of Italy. These trips will truly be an adventure you will never forget. Experience the beauty and majesty of the Stubai Region of the Alps. Rugged Peaks, ancient glaciers and secluded alpine valleys provide the backdrop for this spectacular trip. Each night is spent in a warm, friendly alpine inn. The trip is rated Moderate and is based out of Innsbruck, Austria. Situated on the Eastern edge of the Alps, the Dolomite region offers stunning scenery and superb trekking. 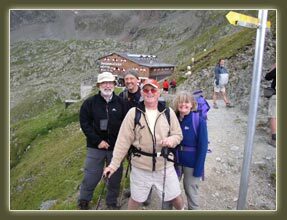 After each rewarding day of hiking we spend the evening in a comfortable and friendly refugio where hospitality and a sumptuous meal always await. The trip is rated moderate and is based out of Bressanone, Italy.